For all of your cutting needs get the Full Tang Cutting Knife and you will have the right knife for any cutting situation. 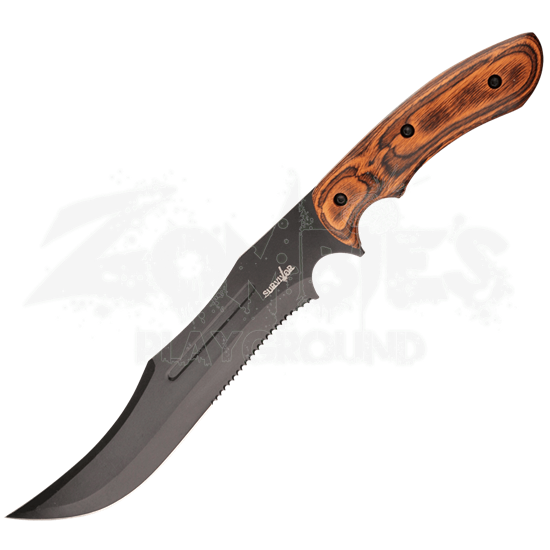 With a stainless steel full tang blade, this knife is built for the heaviest slicing and dicing needs, and the half serrated blade makes minor sawing a breeze. 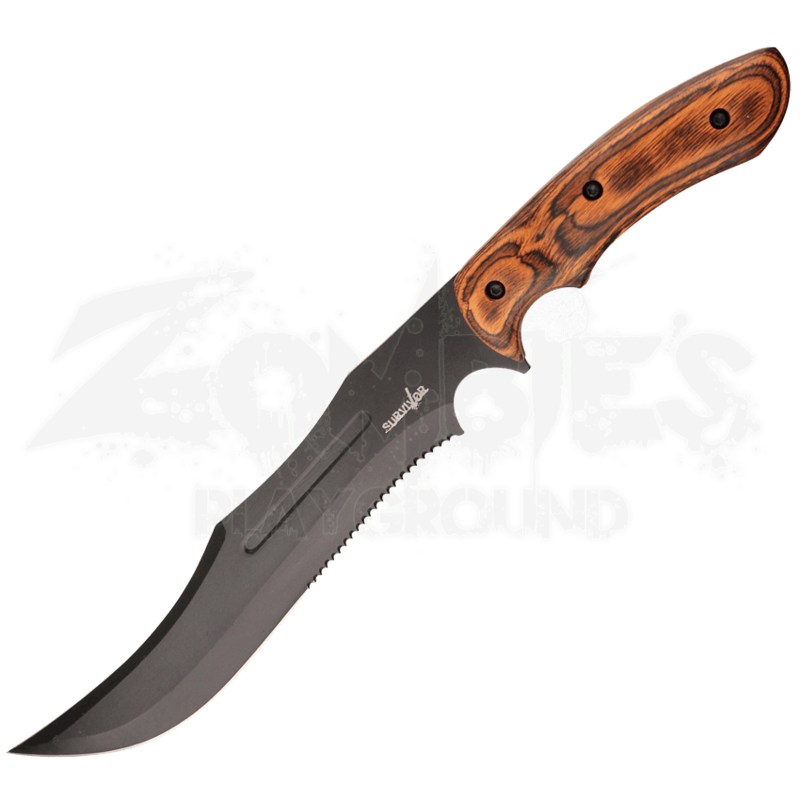 A dual finger grip allows for greater leverage to power through those tough jobs, and the wooden handle gives this durable knife a classic outdoors look. This clip point knife also has a false back edge. A nylon sheath for safe storage and easy carrying is included. If something needs cutting, you know you need the Full Tang Cutting Knife.